Wilson’s disease (WD), an inborn error of copper metabolism caused by mutations in the ATPase copper transporting beta (ATP7B) gene, manifests variable age of onset and different degrees of hepatic and neurological disturbances. This complex phenotypical outcome of a classical monogenic disease can possibly be explained by modifier loci regulating the clinical course of the disease. 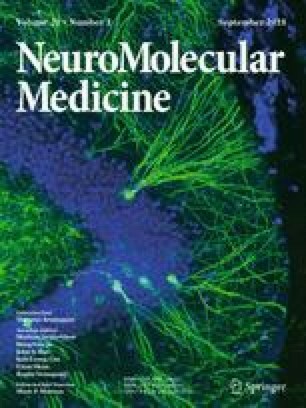 The brain-derived neurotropic factor (BDNF), critical for the survival, morphogenesis, and plasticity of the neurons, and the dopamine receptor D2 (DRD2), one of the most abundant dopamine receptors in the brain, have been highlighted in the pathophysiology of various neuropsychiatric diseases. This study aims to identify the potential association between BDNF and DRD2 gene polymorphisms and WD and its clinical characteristics. A total of 164 WD patients and 270 controls from India were included in this study. Two BDNF polymorphisms [p.Val66Met (c.G196A) and c.C270T] and the DRD2 Taq1A (A2/A1 or C/T) polymorphism were examined for their association with WD and some of its clinical attributes, using polymerase chain reaction, restriction fragment length digestion, and bidirectional sequencing. The C allele and CC genotype of BDNF C270T were significantly overrepresented among controls compared to WD patients. In addition, a significantly higher proportion of the allele coding for Val and the corresponding homozygous genotype of BDNF Val66Met polymorphism was found among WD patients with age of onset later than 10 years. Furthermore, the A1A1 genotype of DRD2 Taq1A polymorphism was significantly more common among WD patients with rigidity. Our data suggest that both BDNF and DRD2 may act as potential modifiers of WD phenotype in the Indian context. The online version of this article ( https://doi.org/10.1007/s12017-018-8501-2) contains supplementary material, which is available to authorized users. We are thankful to the Wilson’s disease patients and their family members for participating in this study. The study was partially supported by the funding from Department of Science & Technology Cognitive Sciences Research Initiative (DST-CSRI), Govt. of India. SR is supported by UGC-JRF fellowship from UGC, Govt. of India, PP is supported by University Research Fellowship, and SG had been supported by a fellowship from DST-SERB, Govt. of India. SR: PCR-RFLP and sequencing of BDNF (Val66Met and C270T) and DRD2 gene among WD patients (Val66Met, 164 samples, C270T 104 samples, DRD2, 142 samples), analysis of the result, and drafting of the manuscript. PP: PCR-RFLP of BDNF Val66Met and C270T among 270 controls. SG: PCR-RFLP for BDNF, C270T, and DRD2 among WD samples (BDNF, 60 samples, DRD2, 20 samples). SB: PCR-RFLP for DRD2 among control samples (50 samples). MSG: Involved in study design, experimental details, and writing of the manuscript. KR: A senior investigator in WD project provided intellectual input and preparation of the manuscript. JR: Principle Investigator of the project provided intellectual input and involved in preparation of the manuscript. SKD, PKG, AB: Patient recruitment, clinical evaluation, and blood sample collection from patients from Kolkata area.